DPW has taken steps to make it easier for small commercial haulers to properly dispose of trash to improve their efficiency, reduce instances of illegal dumping, and help keep our City clean. Small haulers are able to dispose of their loads at the Northwest Transfer Station, which is located at 5030 Reisterstown Road. 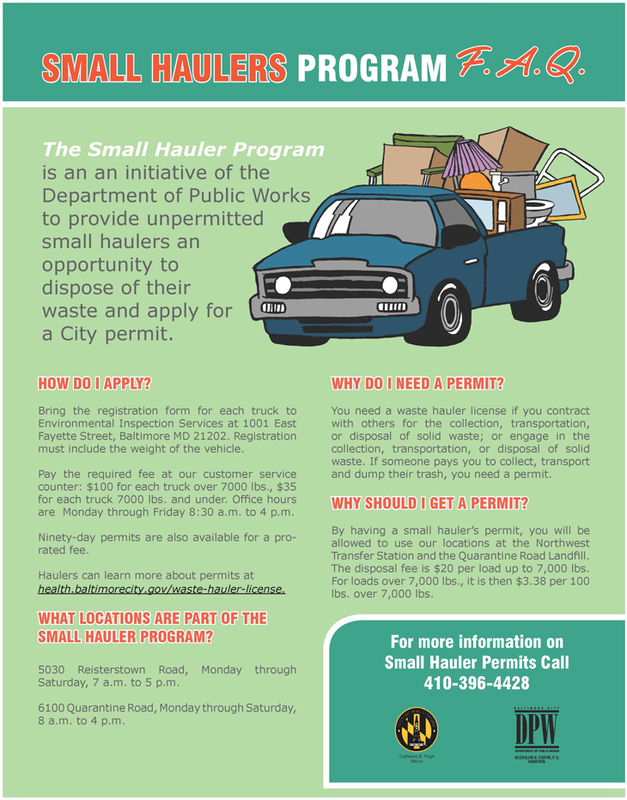 Small haulers visiting the Northwest Transfer Station are encouraged to apply for a permit for handling small loads of trash. The facility is free for residents, and $20 per load for small haulers with a valid permit.